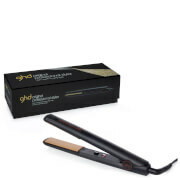 Boasting a new dual-zone technology and heat-up time of 25 seconds, ghd presents the cutting edge standards in hair styling: the ghd Gold® Professional Styler. 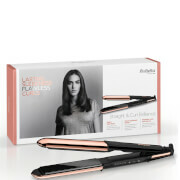 Proven to deliver sleeker, smoother and healthier looking results, the straighteners showcase a sleek, luxe design with glimmering gold accents and a round barrel for versatile, snag-free styling. The dual-zone technology comprises two new generation heat sensors that regulate and control the optimal temperature of 185°C evenly from root to tip. Featuring smooth, contoured floating plates that effortlessly glide through the hair for a shiny, frizz-free finish, the innovative styling tool comes with a heat-resistant protective plate guard to work around your busy, on-the-go schedule. 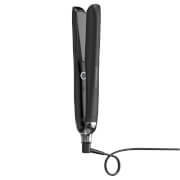 For extra safety, the automatic sleep mode shuts down the styler after 30 minutes of not being used. Furthermore, the universal voltage means you can globetrot with your trusty stylers in tow. Complete with a matching heat-resistant bag.